Static application security testing (SAST) helps you to analyze application source code, binaries, and byte code when coding and designing, revealing security vulnerabilities. In a nonrunning state, SAST tools analyze your application from the inside, out. SAST security solutions easily integrate into your existing system, enabling them to consistently and constantly monitor code. This will help with the quick mitigation of security problems and enhance the integrity of the code. Application security testing was built because when we build software and applications, security isn’t always the first thing on our minds. This is a result of fast deadlines and the need for more – which is necessary for development and innovation, but leaves many security vulnerabilities. Application security requires movement almost immediately on behalf of your team, but having that manpower is impossible. Application security testing tools take over where people cannot, delivering results immediately so that you can act. 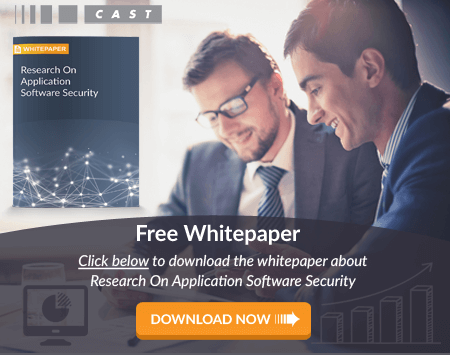 There are two different ways to go about your security testing: static application security testing (SAST) and dynamic application security testing (DAST). These are both used to help reduce the vulnerabilities within your applications. SAST and DAST are both innovative ways to check for security problems, but they work best with different companies and organizations. DAST and SAST are different because they are most effective within different stages of the software development life cycle. SAST and application security testing services detect critical vulnerabilities within systems such as SQL injection, buffer overflow, and cross-site scripting. DAST uses penetration testing from the outside, trying to identify security problems when the applications are running. SAST security testing requires a few different elements to be successful. SAST must be consistent and produce high quality results when scanning your apps, it must be scaled for what you need, it must integrate application security readily, and it must be easy to use. Why is an SAST Test Necessary? SAST tests are automated and deliver repeatable results, allowing you to break down the security hazards of microservices, mobile applications, desktop apps, and web. Most importantly, static application security testing allows you to scale without devoting additional resources, reducing overhead. With cloud-based SAST, there is no need for in-house hardware, once against cutting down on maintenance. Static application security testing products scan the source code to identify susceptibilities, provide reports, and even develop code fixes for some of those vulnerabilities. With application security testing tools, a certain amount of friction is removed from your applications. When building, you can test and get the answer back in seconds to highlight any areas where there are problems or weaknesses. With these SAST tools, you are able to refine and build your applications and the way you work easily. As time passes, you’ll be able to implement the changes automatically. For more information about SAST, give us a call today so that we can give you personalized information about how we can help you.